The Humanitarian Learning Standards and Standards for Assessment of Humanitarian Competencies were developed through widespread consultation with learning and assessment providers across the world. The process was led by Bioforce Institute and RedR UK, in partnership with the Humanitarian Leadership Academy. In 2017, consultations were held across seven regions to gather best practice from humanitarian learning and assessment providers worldwide. 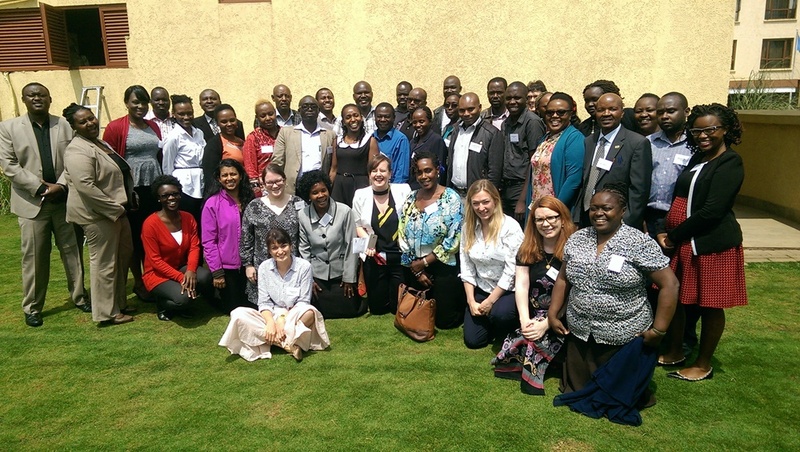 Regional workshops were held in the Philippines, Kenya, Mexico, France, Jordan and Senegal, while an online workshop was provided for representatives from the United States and Canada. 163 people took part in the workshops, representing 16 countries and 102 organisations. In addition, 70 people were involved in semi-structured interviews and there were three focus-group discussions. 148 people contributed through online surveys and 55 were involved in drafting through a writers’ group. A total of 408 people, representing 382 organisations and 60 countries participated in the consultation process. Views from these consultations were used to produce a first draft of the humanitarian learning and assessment standards, and accompanying materials to support organisations to use the standards in practice. HPass partner Pearson developed a Quality Assurance Mechanism to complement the standards. Drawing on Pearson’s expertise in professional accreditation, this set out the evidence needed to demonstrate compliance with the standards, and a process for reviewing an organisation against the standards. The draft standards, support materials and Quality Assurance Mechanism were piloted with thirty-five organisations in 2018, and feedback used to develop final versions.